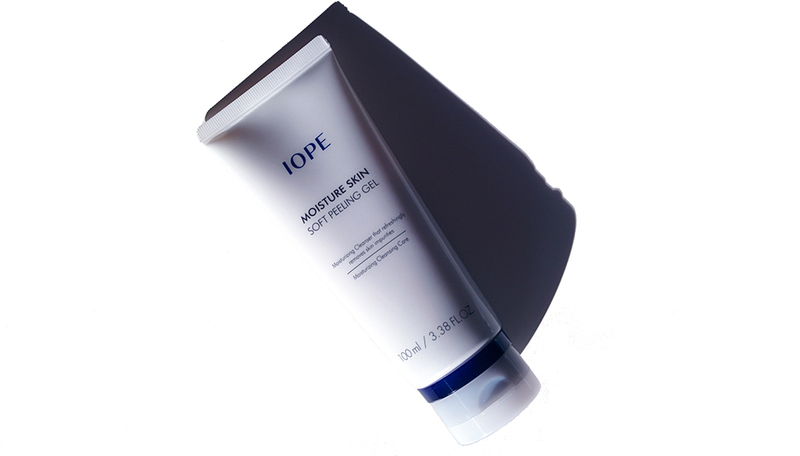 From my all the products I bought in Korea, I'll first be reviewing the IOPE Moisture Skin Peeling Gel. I already talked about the benefits of peeling gels here, and since I had used up an entire deluxe sized peeling gel sample and loved it, I knew I had to get one while I was in Korea. After testing out several peeling gels, I decided on getting IOPE's since it wasn't too drying and it seemed like it got rid of more dead skin than others. Mild Moisture Peeling Gel to gently care old dead skin cells with vegetable peeling ingredients. Pre-Biotics to keep the balance of the skin surface and protect the skin from toxic substances for maintaining the skin hemeostasis and building up the true skin strength. Astringent and soothing effects to have organic Witch Hazel Water even for the sensitive skin with no concerns. Natural cellulose ingredients extracted from trees and aloe extracts to gently care dead skin cells without tightening the skin. Most of the words on the box are in Korean. The box did not seem to have an ingredients list, nor could I find it online. After removing makeup and drying your face, use a nickel sized amount and massage it onto your skin starting from your nose then to the rest of your face. Wash off with warm water. Be careful not to stimulate the skin too much by rubbing too strongly. I use this peeling gel once or twice a week nightly after cleansing my face. 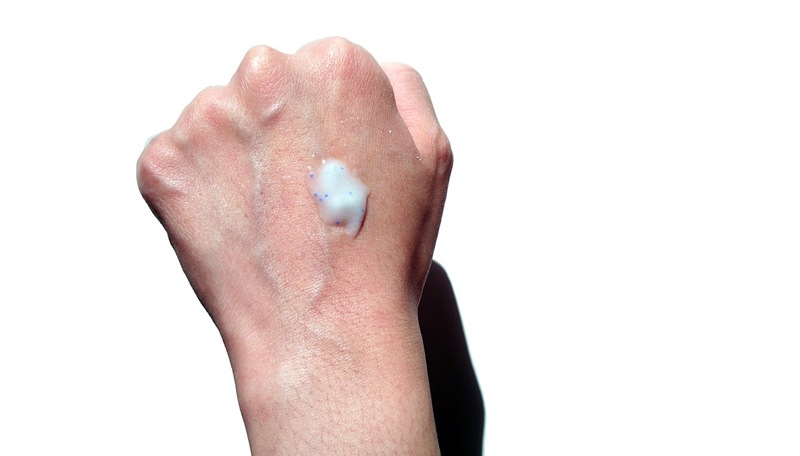 As you can see from the photos above, the product is an opaque white gel like texture that has small microexfoliating beads in it. It has a light floral scent to it, but it's not too strong. You can see from the photo above that after rubbing it in a while, the gel starts to clump into small balls. I'm assuming that's your dead skin cells. However, my instinct tells me that it's not all your dead skin, but rather the product naturally balls up along with some of your dead skin. Sometimes if I haven't been diligent about using it weekly though, it does ball up in bigger clumps when I use it. After exfoliating, my skin is noticeably smoother by the touch so it is definitely doing some sort of exfoliation. I do notice that the pores around my nose shrink a bit after using this peeling gel as well. It leaves my skin feeling a little tight, but not uncomfortably tight. I definitely moisturize after using it, and I find that my facial products absorb slightly better. I definitely will use up the entire bottle, but it's one of those products I probably won't be in a rush to repurchase. 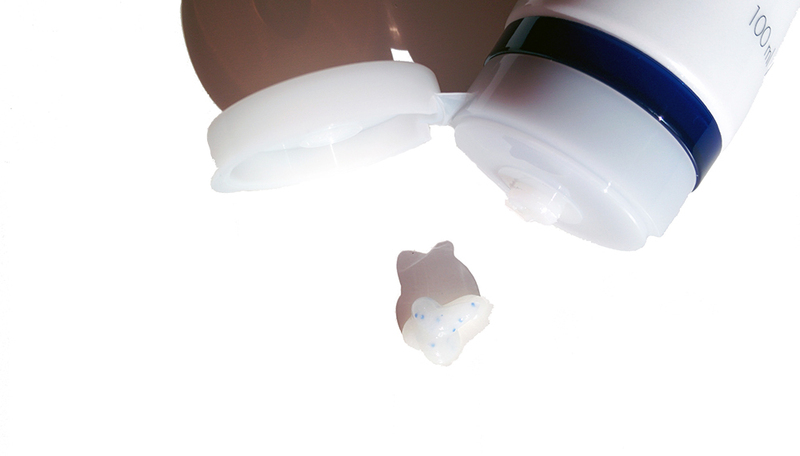 You want a gentle exfoliating product without any hard exfoliating ingredients. You have some dry patches on your skin that you want to gently exfoliate. You have extremely dry skin. You have sensitive skin that gets easily irritated by exfoliation. IOPE's peeling gel is available on Amazon for a couple dollars more than the price I paid in Korea. It is a mid-tier brand in Korea that is found in department stores, so if you want to spend a little less, there are definitely high street brands that also make peeling gels. I also got IOPE's Bio Fermented Essence, so if you're a fan of the brand, look out for that post in the future! Lastly, if you missed it the first time, check out my entire beauty haul from Korea here!